Today at Computex in Taiwan, Samsung took the wraps off its latest laptop. 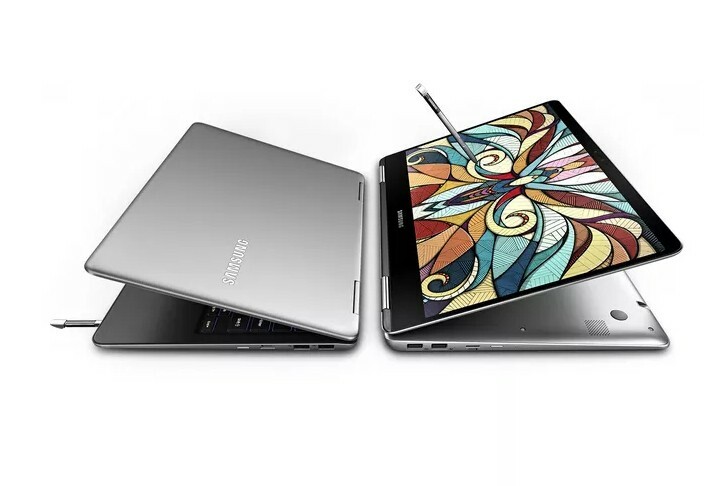 It's called Notebook 9 Pro, it has a 360-degree hinge that makes it a convertible, and it comes with Samsung's S Pen stylus built-in. The stylus slides into the base of the Notebook 9 Pro, so there isn't a big chance you'll lose it fast (which is what would probably have happened had it not featured its own storage slot). The S Pen has 4,000 levels of pressure and it's able to detect tilt for shading, like Microsoft's new Surface Pen. 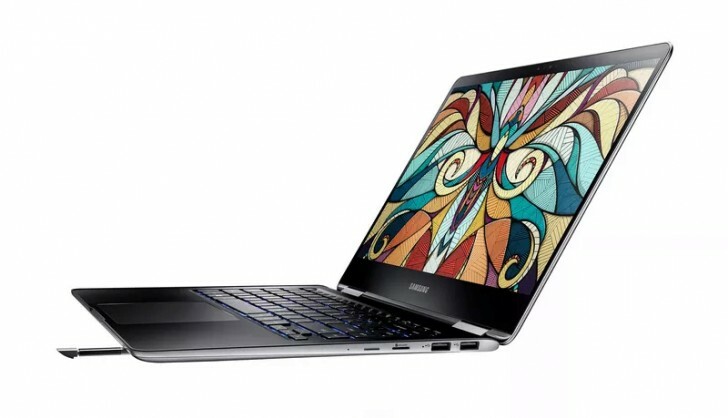 Samsung's Air Command software for drawing, taking notes, and editing documents is included with the Notebook 9 Pro of course. The S Pen is compatible with Windows Ink. The laptop will come in 13.3" and 15" variations, both powered by Intel's latest Core i7 CPUs. The smaller Notebook 9 Pro will feature 8GB of RAM, while the 15-inch model gets 16GB along with the AMD Radeon 450 graphics card. Both sizes have a 256GB SSD, one USB Type-C port, two regular USB ports, an HDMI port, a microSD card slot, and a backlit keyboard. A Windows Hello camera on the front will support logging into Windows 10 through facial recognition. Neither pricing nor availability information is public yet. So is this the spiritual successor of the Ativ series?